Exclusive design black hardcover notebook. 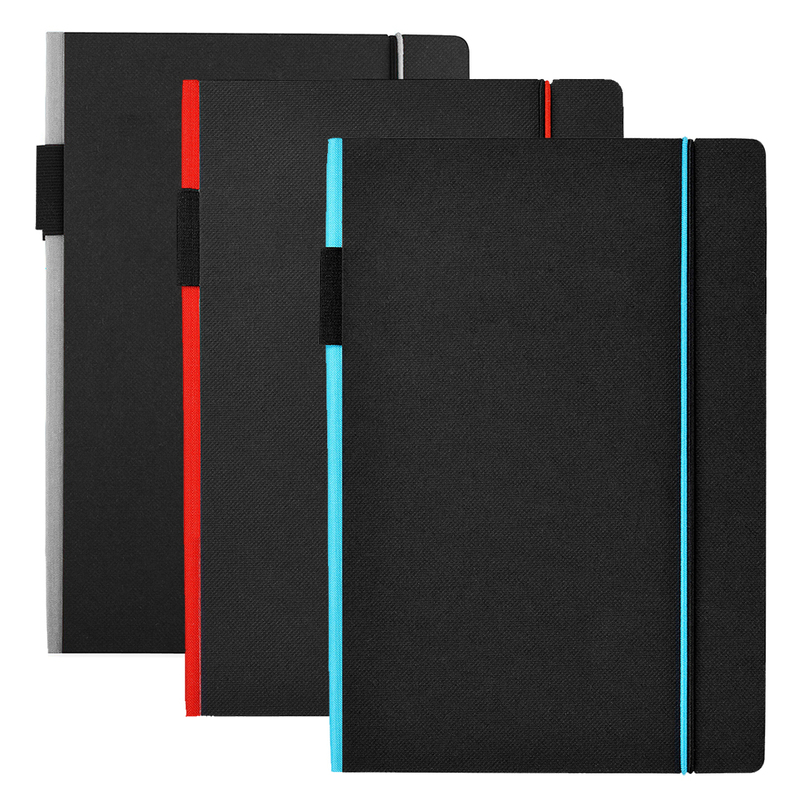 The coloured spine and elastic closure add a touch of character which helps to distinguish it from others. Available in 3 colours. The elasticated pen loop on the spine makes it practical and convenient. Features 80 sheets (80 gsm) of lined paper.